Safety and efficiency this product has been certified by Apple to meet all of their stringent quality and safety requirements. 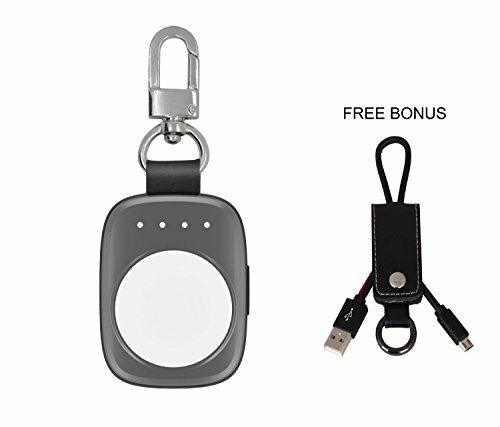 Do not risk damaging your watch with cheap alternatives portable and rechargeable for the apple watch users that are always on the go rechargeable and pocket sized design provides unparalleled convenience. This is a must have for apple watch users who travel. Specifications: Input: 5v/1a output voltage: DC 4.75v-5.25v capacity: 700mah operating temperature: -10c to +45c operating humidity: 35%-85% rh dimension: 53.1 x 39.9 x 18.2mm weight: 51g inside the package: 1 x pantheon wireless apple watch portable charging keychain 1 x user manual.